What gear do you need to start hill walking? What gear do you need to start walking? Photo: BMC. Your first walk in a hill or mountain area is an experience you will almost certainly remember. But poor planning or bad weather (or even a closed tea shop!) can quickly ruin things. Here are a few equipment tips to help make sure you remember that first foray for all the right reasons. Look after your feet. Start off by getting a good pair of boots which fit you. They should be suitable for the kind of walking you plan on doing – the rougher the terrain, the heavier duty the boot you will need. Also think about socks; most people use a very thin pair under a thicker pair to help prevent blisters. Carry a map and compass. Looking for moss on trees, performing tarot readings or asking strangers may all help, but the most efficient way of getting to where you want to go is to learn to use a map and compass (and to remember to pack them). A GPS device or a smartphone can be a useful addition, but you should never solely rely on them. You can download maps or buy memory cards with maps on them, but always carry a hard copy too. Dress properly. What you need depends on the time of year and conditions –and remember these conditions may be completely different up the hill to what they were where you left the car. Start with a moisture-wicking baselayer then add insulating and windproof layers on top. Pack a waterproof outer layer, and maybe a hat and gloves. Gaiters can be invaluable in boggy British conditions – they look weird, but they’ll help keep your feet dry, and save you from having muddy trousers flapping around your ankles. Food and drink. Keep fuelled up and you’ll keep on striding, so remember to pack meals plus a few snacks and plenty of fluids. Be prepared if things go wrong. Every walker should carry some kind of emergency kit. A headtorch can be the difference between getting back to the car safely and a night on the hills, so always take one just in case. A spare warm layer, a first aid kit, and some extra food are also essential – even if you never have an accident, it’s amazing how often you’ll use them. If you are going somewhere remote or high up, or you are expecting bad weather, taking a bothy bag or a lightweight bivvy bag is a very good idea. Carry it all comfortably. You’ll need a bag to throw everything in, but it doesn’t need to be too big. Also think about poles – they’ll save your knees. 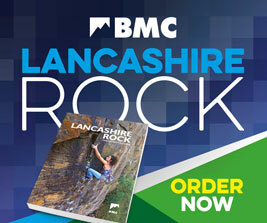 Many outdoor shops will give you a discount on clothing and equipment if you can present your BMC membership card. Finally, remember that the right equipment is one thing, but the right preparation is another. So don’t forget to plan your route and let someone know where you’re going. Read more about how to start hill walking here. Are you a hill walker wanting to get more involved with the BMC? Are you passionate about big issues affecting the hills and mountains, like litter, erosion, open access or rewilding? Then come along to the BMC Hill Walking Symposium - there are a few places still available. Camping ‘wild’ is a different way of spending the night outdoors but it isn't allowed everywhere - with a responsible approach however, there are many remote areas where you can still rest your weary head under a star filled sky. Dangerous crampons being sold online Camp Energy harness update Rope shear fear: could it happen to anyone? Crampons for mortals What gear do you need to climb outdoors?